Every year, more than 100 million people worldwide develop the sexually transmitted disease gonorrhoea, with health consequences such as infertility, transmission of the disease to newborn babies, and increased risk of HIV infections. There has been a 63 per cent rise in gonorrhoea in Australia over the past five years. Gonorrhoea is caused by bacteria which can rapidly develop resistance to all known antibiotics – commonly called 'superbugs'. Gonorrhoea superbugs have now been detected in every Australian state and territory and are increasingly difficult to treat in the clinic. Monash University researchers have discovered a way the gonorrhoea bacteria cleverly evade the immune system – opening up the way for therapies that prevent this process, allowing the body's natural defences to kill the bug. 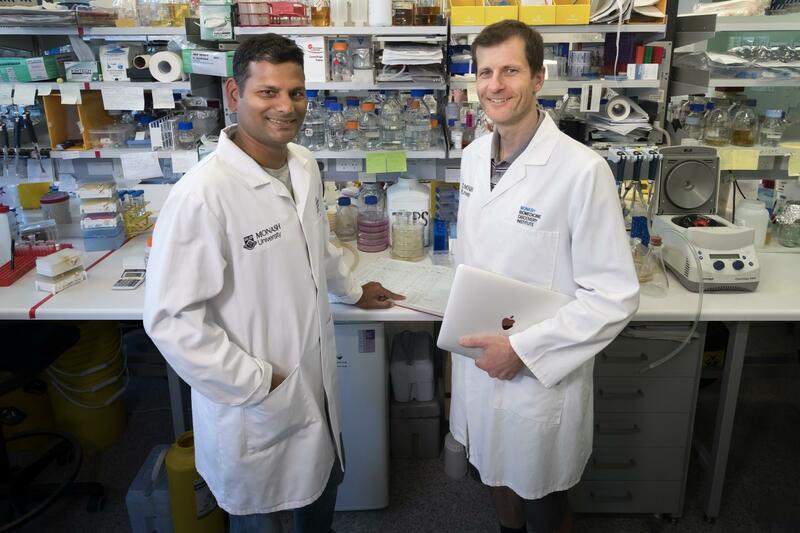 Published today in PLOS Pathogens, Dr Thomas Naderer and Dr Pankaj Deo and their team from the Monash Biomedicine Discovery Institute, have discovered how the gonorrhoea-causing superbug (which is very small) creates even smaller packages of bacterial membrane blebs, termed vesicles, which attack immune cells. Using cutting-edge super-resolution microscopy, which is able to see, and film, the most minute of events – the researchers found that these membrane vesicles interacted with the cells in the human immune system called 'macrophages', triggering these to die in an orchestrated suicide process. Macrophages are the cells within the immune system that ordinarily kill foreign invaders like bacteria and viruses, so without them the gonorrhoea bacteria can flourish. Dr Naderer said that this new understanding of how the gonorrhoea bacteria interact and cause the death of immune system cells "may lead to strategies to combat gonorrhoea infection and its symptoms". The research may also provide information as to how other bacteria evade the immune system and be unaffected by antibiotics. The 2016 Review on Antimicrobial Resistance Final Report and Recommendations states that antibiotic resistant infection will kill an extra 10 million people a year worldwide – more than currently die from cancer – by 2050 unless action is taken.